A couple of weeks back, the Windows 10 version of Quantum Break, the third person shooter game released last month in all regions, has received a new title update which introduced plenty of improvements, tweaks and fixes. Remedy is apparently not yet done with enhancements for its latest game, as a new title update is going to be released before the end of the month. 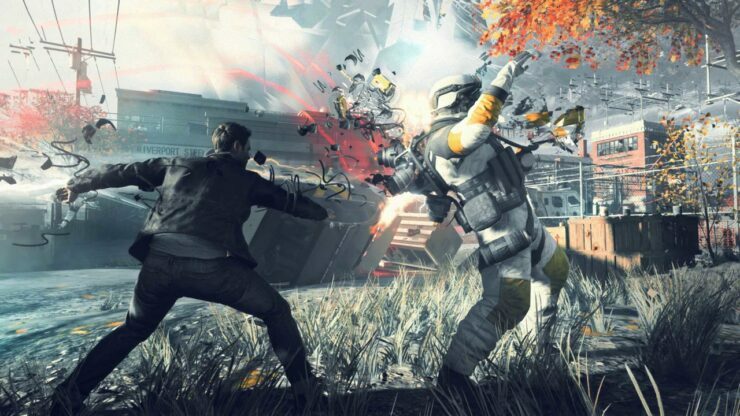 The new Quantum Break Windows 10 title update has been confirmed earlier today by Remedy’s Head of PR Thomas Puha, who has revealed that we are getting closer to the release of Quantum Break’s third title update, which will include G-Sync and FreeSync Support. These additions will be made possible by the introduction of G-Sync and Freesync support for games on Windows 10 recently made by Microsoft. The title update, which is expected to launch within two weeks, may also include additional tweaks and fixes, but nothing has been said about the matter. As already mentioned, the previous Quantum Break title update has been released for the Windows 10 version of the game a couple of weeks back. The update included a fix for the frame pacing issues as well as the ability to turn off film grain and more. Other fixes included in the update are the same as the ones included in the latest Xbox One update such as fixes for several acts and other general fixes that made the experience more enjoyable. Quantum Break is now available in all regions on Xbox One and PC. We will let you know more about this new title update as soon as more comes in on it, so stay tuned for all the latest news on the successful third person game developed by Remedy Entertainment.